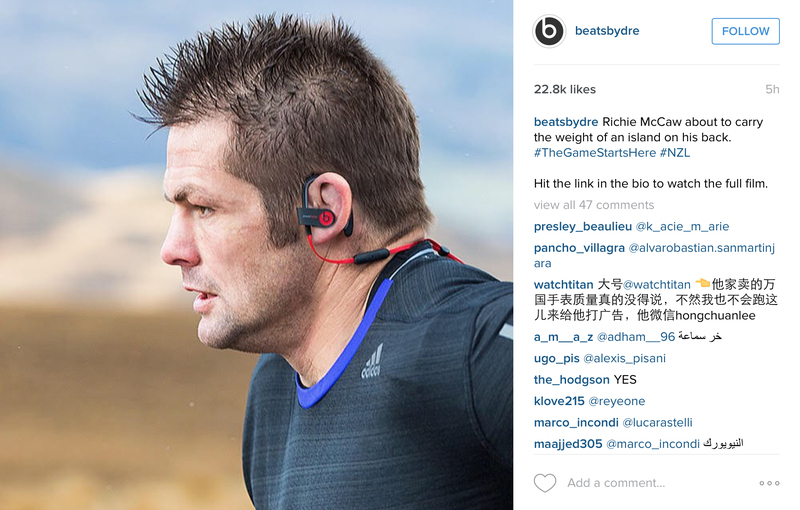 Beats by Dre sponsorship of the Rugby World Cup is being promoted in The Game Starts Here, an advertising campaign featuring New Zealand captain Richie McCaw, English captain Chris Robshaw and French captain Wesley Fofana. 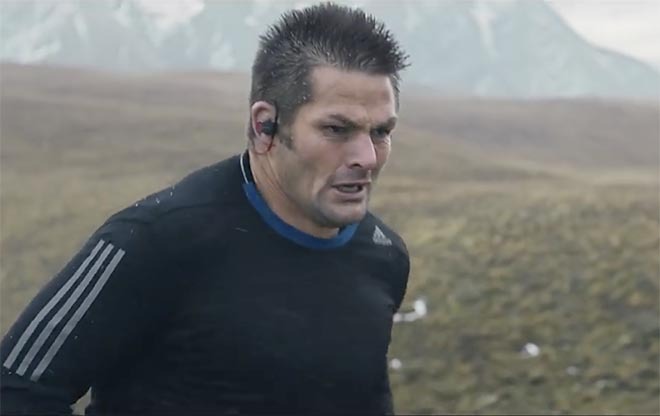 The New Zealand film features Richie McCaw in Kurow, North Otago, alongside shots of a Kapa Haka group performing a haka (Taku Turangawaewae Motuhake) written exclusively for Beats By Dre by composer Inia Maxwell. The English commercial follows Chris Robshaw as he faces press conferences, media doubts and the pressure of the passion of the fans. 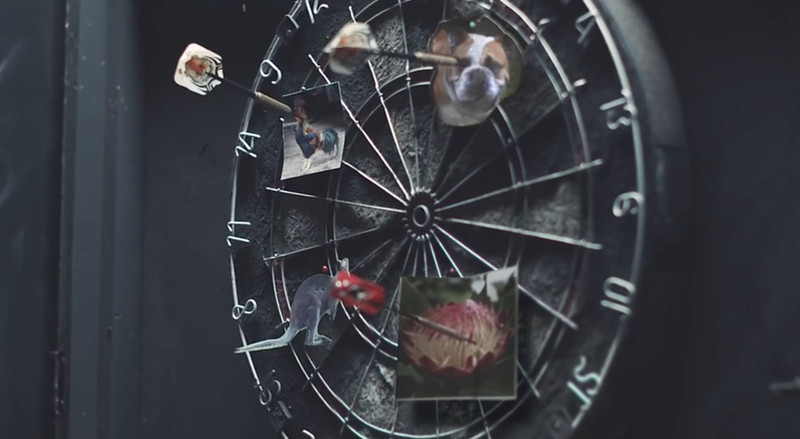 The spot is overlaid with Jerusalem, performed by Jacob Collier. 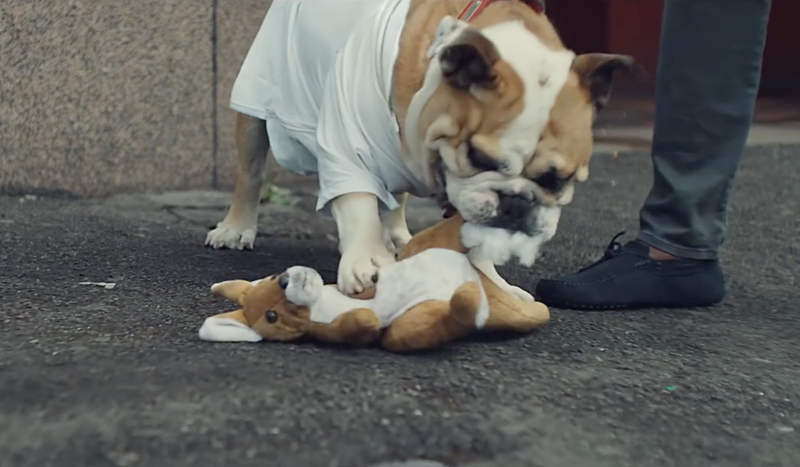 The French ad stars Wesley Fofana grappling with national disappointment and expectations, exploring the national motto, (Liberté, Égalité) “Fraternité Ou La Mort”. The three commercials, along with interviews, Instagram and Twitter promotion, feature Beats Studio Wireless and Powerbeats2 Wireless products. Look out for the symbols of competition, the British bulldog, the French coq, the Australian kangaroo, the South African protea, along with the destruction of the British Austin Maxi. 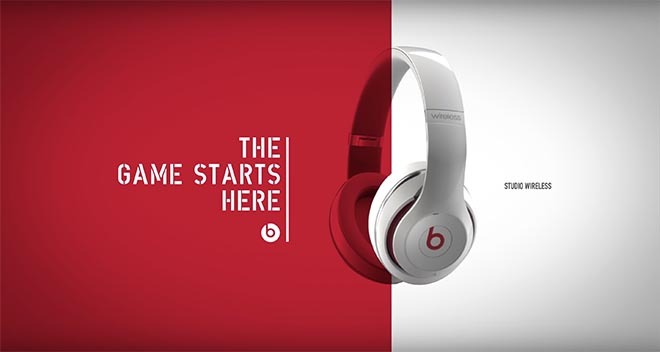 The final graphic, “The Game Starts Here”, is presented in the colour of the country in each commercial, black for New Zealand, red for England and blue for France. The Beats by Dre Game Starts Here campaign was developed at R/GA, London, by art director Ciaran McCarthy and copywriter Edwin Latchford. FIlming was shot by director Andre Stringer (England and France) and TWiN (New Zealand) via Reset.